CURRENT SHOP TURNAROUND - The shop is currently running 3 DAYS BEHIND SCHEDULED LEAD TIMES (Due to High Order Volumes). The back shop will be closed Friday April 19th for routine maintenance and upgrades. We are constantly in the process of adding new products to the site for our customers. Every item is hand made for each customer when ordered. Please make note of current lead times for making your hand made, custom item. If you require something not listed, please contact customer service and we will do our best to accommodate. You can get in touch via the CHAT BELOW IN ORANGE, the CONTACT US at the top of the page, or as always, GIVE A CALL. A courteous and helpful associate would be happy to help. The Cleveland Kydex Company Has Moved To Our New Facility! We have once again completed a massive move, and upgrade, to a new, expanded facility. We are now offering over 50 material options, and unprecedented item choices. Our knife, axe, flashlight, multitool, inventory is expanding at a faster rate than ever (the largest online). Hundreds of sidearm options (the largest online). Customization options not available elsewhere. 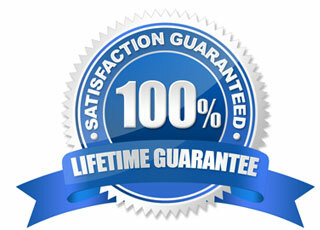 Faster turnaround times, an increased product selection, and lower overall cost to you, our customer! The lower pricing can already been seen within our holster and sheath selections!! We are always working to make your shopping experience even faster, more customized, and as always, repeatable. Mr. D.W. writes - Customer service like what I experienced from you unfortunately is not a common experience anymore. It was more than I would have expected except from a personal friend. You should be commended. ... I own several other knives that I am thinking about getting Kydex sheaths for and when I do it will be Cleveland Kydex! CKC Response - Hello Mr. ******** , Thank you very much for the kind words sir. Thank you as well for taking the time to write them... ctd. Mr. W. writes - Just received my 5th sheath from CKC as well as a mag holder for a .45 ACP single stack. Like the other products I purchased from CKC these were high quality, over engineered and priced below their true value. I was especially impressed with the mag holder. It was adjustable for tension release as well as belt width and height. I've seen several models of mag holders from various companies, none of which compare in design or adaptability to the CKC mag holder. As far as I'm concerned, I will never have to scour the net for any of my future holster, sheath or mag holder products. Thanks again CKC. Mr. J.B. writes - This will be my second sheath from you folks and I have no doubt it will be just as amazing! Thank you! Mr. B. writes - I received the sheath for my Kershaw Diskin Hunter today and it is far superior to the original sheath it came with. It will make a excellent addition to my hunting and camping gear. Can't wait to try it in the field. Thanks! CKC Response - Mr. ***** Thank you sir. It is our pleasure. I will let the back shop know. Mr. G. From Ohio writes - Hi. I received my holster and am EXTREMELY satisfied with it!!! Man, that is some great quality. I am a retired ********, Ohio police officer (up by you) and have carried guns for over 40-years. Your holster is the best I have ever had. I will be ordering another holster for my 1911 and my buddy and I have two knives we will be needing sheaths for. CKC Response - Mr. ***** Our pleasure sir. Thank you for the kind words. I will let the back shop know. We love hearing from our customers. **Undisclosed** Writes - Hi, i just received my order today, I wanted to say thank you its awesome... I can appreciate the effort required to make something so unique, i've held it all different angles and it doesn't budge... couldn't have hoped for more to be honest, very excited to take it out in the woods, I was very pleased with the patterning, the website doesn't do it justice....ctd. CKC Response - Mr. **********, Very good news. I will definitely pass it along to everyone. I know they enjoyed making it. Such a unique piece, and the blade as well....ctd. 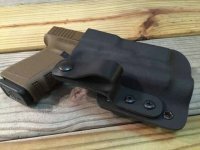 Mr. WS from SC writes - Received my 1st Kydex holster today (for my M11 A1). All I can say is WOW!. Will order Mag holder Monday. Thank you. CKC Response - Mr. ******, Thank you sir. All that we can hope is that we have earned you as a customer sir. Your appreciation of our work is icing on the cake sir. I will pass it along to the shop. Again, thank you, and we hope that it is enjoyed. Mr. JF From **Undisclosed** Writes - Hello, I am a 1SG with the **th Special Forces Group in Afghanistan and I am trying to order one of your holsters. Do you ship to APO Address. I purchased one of your holsters before I left for my 1911 and I love it. Now I would like to get one for my M9 I am carrying over here...ctd. CKC Response - Hello Mr. ********, We are honored sir. It is always great to hear that your work is appreciated. As you know, all of our work is hand made, and our guys actually remember all of the stuff that goes through our shop, believe it or not, so thank you for the compliment...ctd. **Undisclosed** Writes - Thanks got one of your holsters for Christmas - I love it. A purple haze. for my M&P left handed - it's soo cool - my bff got a pink one. Oh yeah its great my boyfriend the NRA instructor really liked it. CKC Response - Thank you very much for the compliment. We are very proud of it. I will pass it along to the shop so they know as well. Have a model that you would like us to stock? Let us know! ALL CLIP Holsters Now Shipping Within 24 Hours! - CLIP AND Light Bearing CLIP Holsters - INDUSTRY LEADING - Available in over 50 colors and prints - Largest available selection of sidearms anywhere! ESEE Junglas-II ! - Added to Quick Ship Knife Sheath Inventory! GLOCK - 43x/48!!! - Added to Quick Ship Magazine Carrier Section! FN - 5.7 MK2!!! - Added to Quick Ship Magazine Carrier Section! DPX H.E.S.T I & II ! - Added to Quick Ship Knife Sheath Inventory! ESEE 3HM ! - Added to Quick Ship Knife Sheath Inventory! ESEE 4HM ! - Added to Quick Ship Knife Sheath Inventory! ESEE 6HM ! - Added to Quick Ship Knife Sheath Inventory! ESEE CAMP LORE CR2.5 ! - Added to Quick Ship Knife Sheath Inventory! ESEE CAMP LORE JG3 ! - Added to Quick Ship Knife Sheath Inventory! ESEE CAMP LORE PR4 ! - Added to Quick Ship Knife Sheath Inventory! ESEE CAMP LORE RB3 ! - Added to Quick Ship Knife Sheath Inventory! ESEE LASER STRIKE ! - Added to Quick Ship Knife Sheath Inventory! Ka-Bar Hinderer Hellfire 2486 ! - Added to Quick Ship Knife Sheath Inventory! Ka-Bar Hinderer Hinderance 2485 ! - Added to Quick Ship Knife Sheath Inventory! Ka-Bar Large TDI ! - Added to Quick Ship Knife Sheath Inventory! Ka-Bar Large TDI Tanto ! - Added to Quick Ship Knife Sheath Inventory! TOPS Scandi Trekker ! - Added to Quick Ship Knife Sheath Inventory! TOPS Tex Creek Hunter ! - Added to Quick Ship Knife Sheath Inventory! Boker Gnome ! - Added to Quick Ship Knife Sheath Inventory! Boker Coye Ridgeback ! - Added to Quick Ship Knife Sheath Inventory! Boker Coye Oscar Mike ! - Added to Quick Ship Knife Sheath Inventory! Benchmade Steep Country 15008 ! - Added to Quick Ship Knife Sheath Inventory! Benchmade Hidden Canyon Hunter 15016 ! - Added to Quick Ship Knife Sheath Inventory! Benchmade Azeria 125 ! - Added to Quick Ship Knife Sheath Inventory! Olight - S2R - Added to Quick Ship Flashlight Carrier Section! New Holster Model Added! - S&W - M&P M2.0 .45 4.6"
New Holster Model Added! - SPRINGFIELD - XDE .45 3.3"
Smith & Wesson SW671 Extraction and Evasion Tomahawk! - Added to Quick Ship Axe Sheath Inventory! New Holster Model Added! - S&W - M&P 2.0 9/40 COMPACT 3.6"
Olight - PL-MINI 2! - New model added to Light bearing holster options. Olight - PL-MINI 2!!! Tops Steel Eagle ! - Added to Quick Ship Knife Sheath Inventory! Tops Alaskan Harpoon ! - Added to Quick Ship Knife Sheath Inventory! Benchmade Arvensis ! - Added to Quick Ship Knife Sheath Inventory! Schrade SCAXE10! - Added to Quick Ship Axe Sheath Inventory! INFORCE APL Compact GLOCK! - New model added to Light bearing holster options. INFORCE APL Compact GLOCK!!! Fenix - UC35 V2.0 - Added to Quick Ship Flashlight Carrier Section! Fenix - PD32 (2016 Edition) - Added to Quick Ship Flashlight Carrier Section! Leatherman Supertool 300 ! - Added to Quick Ship Multitool Carrier Inventory! Gerber Prodigy Tanto ! - Added to Quick Ship Knife Sheath Inventory! Gerber Prodigy ! - Added to Quick Ship Knife Sheath Inventory! Fenix - UC35 - Added to Quick Ship Flashlight Carrier Section! Streamlight TLR-8! - New model added to Light bearing holster options. Streamlight - TLR8!!! Streamlight TLR-7! - New model added to Light bearing holster options. Streamlight - TLR7!!! Make sure to create a login and join our newsletter for specials offers and coupons towards your next purchase.